HOA FAIL: Tennessee Woman may have the most absurd HOA story of them all. She posted online that she received a fine of $100 for an “offensive and obscene” image that was left on the ground under her car after it snowed. The woman asked for proof of what they were accusing her of and they sent her a photo. 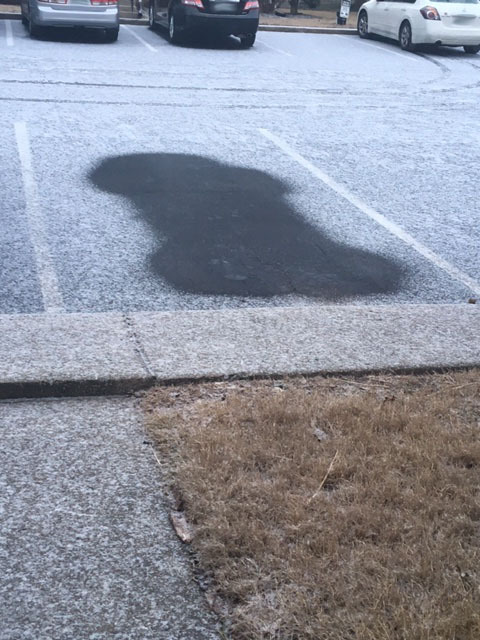 The area of pavement where her car was parked that was not covered in snow slightly resembled a male body part. "Your car, specifically the Honda, left this offensive image on the ground," she was told in a letter. The snow shape apparently violated a rule against "displaying offensive images or slogans." "I died laughing y'all. This is the most ridiculous thing I have ever heard of being fined for, and we flat out told them we weren't paying."